World Full Year 2012: Discover the Top 60 best-selling SUVs! The Chery Tiggo is the best-selling Chinese SUV in the world in 2012. Now I know the SUV segment covers very different models from the small SUV like the Skoda Yeti (#50) to the biggest ones like the Toyota Land Cruiser (#25) but for simplicity I put them all together. And at this little game the Honda CR-V wins thanks to a huge 635,256 sales and with the help of the new generation which launched across the planet throughout the year with great success. The 2nd best-selling SUV in the world also spans two generation: the Hyundai ix35 (aka Tucson) sells 494,453 units and is followed by the VW Tiguan in frank progression notably in Europe thanks to its facelift with 429,013 sales. The Hyundai ix35/Tucson is the #2 best-selling SUV in the world in 2012. Just below we find the Toyota RAV4 at 428,514 units, a total that should increase in 2013 now that the new generation is in dealerships across the planet. The Ford Escape/Kuga is 5th adding up to 403,841 sales now that the two models are one across the world (it also includes previous generations), ahead of the Nissan Qashqai, Kia Sportage and Renault Duster at a brilliant 8th position and 295,096 units. Notice also the Nissan Juke at #11, Jeep Grand Cherokee at #13, Audi Q5 at #15, Kia Soul at #23, the Mazda CX-5 landing directly at #24 and #137 overall for its first appearance in the ranking, BMW X3 at #26 and BMW X1 at #28. The Chery Tiggo leads the Chinese charge at #31 and #159 overall, followed by the Great Wall Haval H6 at #35 and Great Wall Haval H3/H5 at #43. 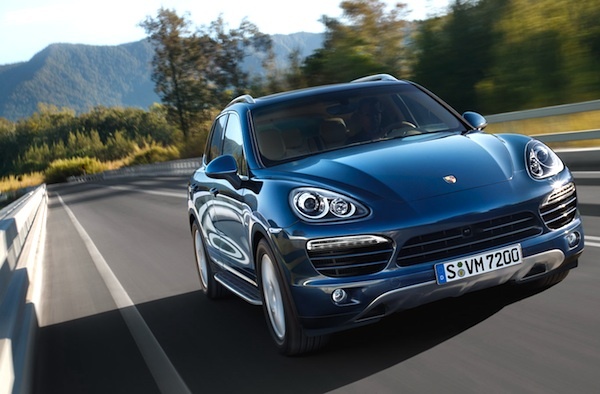 The Range Rover Evoque is up to a beautiful 40th spot while the Porsche Cayenne impresses at #60. Full Year 2012 Top 60 SUVs Ranking Table below. previous post: World Full Year 2012: Discover the Top 20 best-selling Pick-ups!